My name is Sedley Abercrombie and I have lived in Davidson County for the last 12 years. 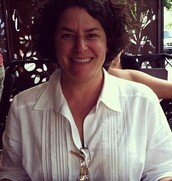 Originally from the New Orleans area, my husband and I moved to Denton in 2005. We've been married for 18 years and have 2 girls aged 16 and 17. 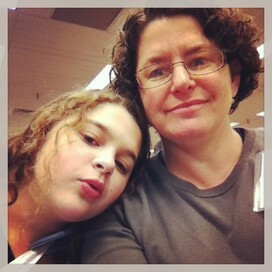 I have worked for Davidson County Schools in school libraries since 2009. I have a master's in library science as well as teaching certificates in K-6, ESL, school library K-12, and district library supervision. I use DESTINY to run collection analysis and collect data for school library collections. Click here to see DESTINY. 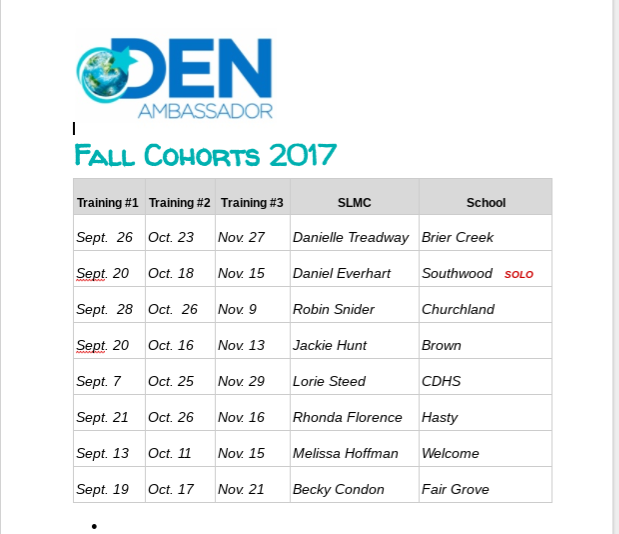 After holding 2 district level cohorts of Discovery Education in spring 2016 and 2017 at the district level (more than 40 participants), I am working with a number of media coordinators to facilitate school based cohorts of DEN Ambassadors this fall. The focus of the #DENAmb program is to enable teachers to integrate digital media and classroom strategies into their instruction. This program is suitable for all content areas and grade levels. Beginning 2 years ago, I assisted the communication department in setting up the Twitter and Facebook pages for the district and each of the 36 schools. I continue to serve as tech support for the communications department and help to maintain social media content. I also have worked as tech support for the district and school websites. I field troubleshooting calls, work with media coordinators in small groups and help to maintain websites. I work with media coordinators to complete the NC DLMI report required by NCDPI due each spring. The process takes a good 6 weeks from beginning to end, involving every school, SLMC or designated staff and the administrator. 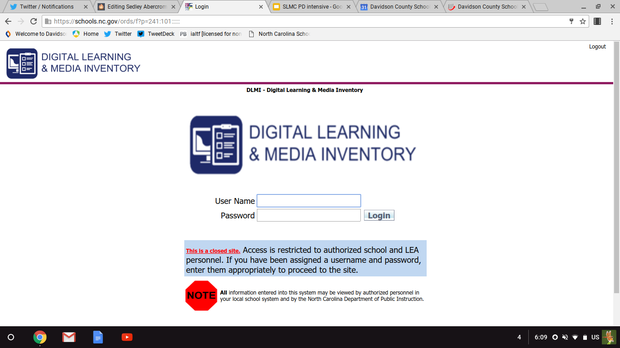 The information collected in the NC DLMI is based on the school and district level digital learning and media resources in place by June 30 of each year. The data collected provides the legislature and the public a yearly snapshot of the state of digital learning and media programs in North Carolina's schools. Arrange all materials for judges, moderators, timekeepers, etc. I particpate in each of the PLCs groups for elementary, middle and high school media coordinators. I also meet one-on-one with new media coordinators as several times a year each and with veteran media coordinators as requested.